I had decided a couple of years ago, probably much against the laws of physics, or at least my own physiology, to try to do the Seven Summits. Kilimanjaro was fine. But having had ‘a bout’ of AMS (the onset of HACE, in fact) on Elbrus, and then having had (albeit milder) AMS on Aconcagua which prevented me summiting, I have had to reconsider my endeavours therefore, and try to be realistic. At best, I will spend a lot of money on the likes of Vinson and Karstenz Pyramid (both cost around $30,000 each) and may not summit either, and then don’t even know if I will be able to (regardless) get high enough on Aconcagua to succeed. Then there is Denali, a mountain which although “only” 6,000m, thwarts even hardened Everest veterans if the weather isn’t right. Oh yes, and whilst we are on that, Mount Everest – who am I trying to kid? Really? Don’t get me wrong, I haven’t given up, even despite the above analysis. I love the very thought of it. It’s inspirational, aspirational, and more exciting than anything I can think of. If anybody asks me if there is one place I’d like to go to on planet earth it is the summit of Mount Everest. That’ll probably never change, but I won’t get stupid, or obsessive, or both about it, promise. I also don’t want to just give up on being ‘in the mountains’, as they are just a part of me. From being up on the Langdales in the Lake District, or Ben Nevis, or in the Alps on some random peak, I get a kick, of just being up there on top. So anyway, after I got back from ‘not’ summiting Aconcagua this January, I deliberated for a little while about what I would do next. I was asked many times before I had even left Argentina if I was going to try it again. “I don’t know” was the best I could come up with, and I will still give that answer now, even if this is only some eight weeks later. About two weeks after being back, I was up in Scotland to meet with (most of) the folks with whom I had been to Elbrus to last summer. 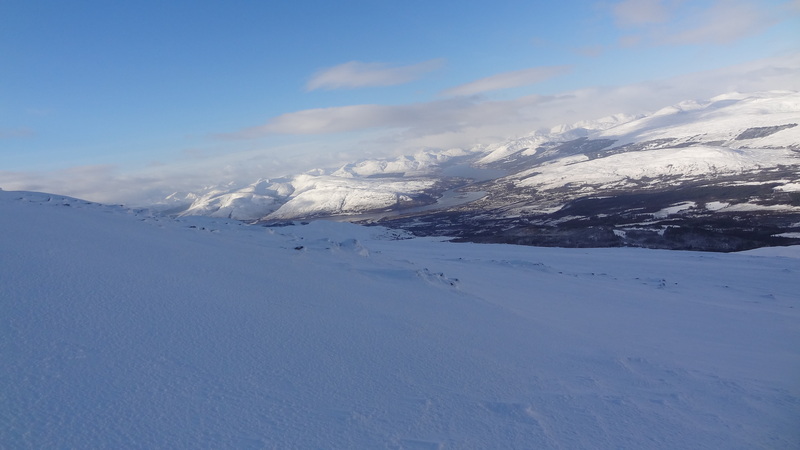 We had a great weekend, and despite not being able to get near the summit of Ben Nevis due to very deep snow and high winds, three of us went up Aonach Mor the next day, with near perfect weather and a beautiful summit experience. Just being there made me feel so alive, so inspired, and so happy. I knew at that point that I had to do ‘something’ this summer, even if it wasn’t necessarily either Denali or some other Seven Summit related attempt. 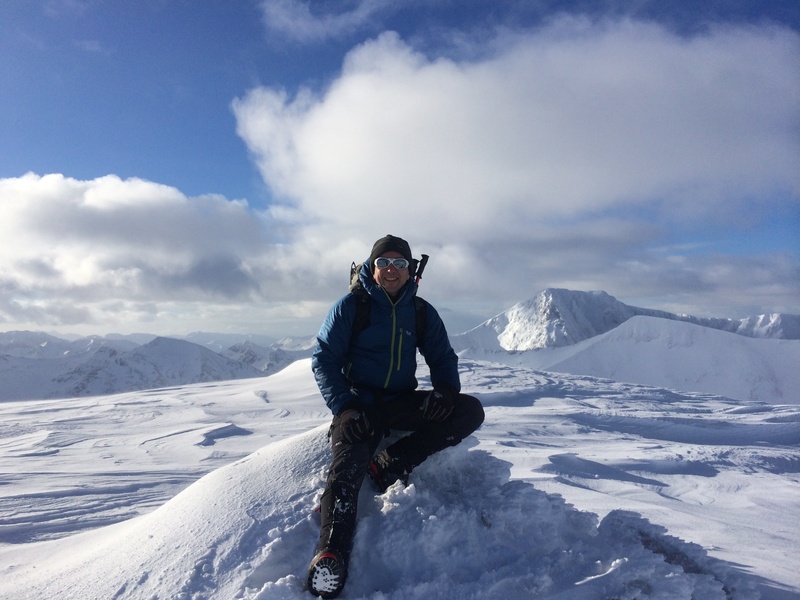 On top of Aonach Mor, Ben Nevis in the background, January 2015. 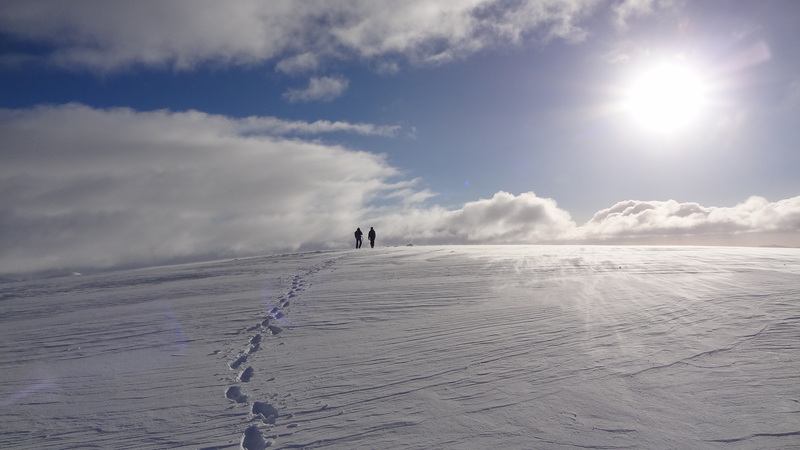 En route to the summit of Aonach Mor. Fabulous, isn’t it? Looking down towards Fort William. Over the last few weeks therefore, I’ve been trying to decide what to do, and the answer in the end was sort of prompted for me by one of the guides from IMG, with whom I’d been to Aconcagua with. He emailed me and asked if I’d like to join an IMG trip to Bolivia, where he was headed. He said it should be fine for me, whilst not being ‘quite’ as high as Aconcagua, it offered three mountains. They got progressively higher, and so offered good acclimatisation opportunities, and topped out at a mountain called Illimani (which I’d never even heard of before) at 6,462m. Having looked at the itinerary I thought it looked great, and decided it was a definite possibility. In the end the dates for the IMG trip didn’t work out for me, and so I looked at Jagged Globe instead, who I knew also ran a Bolivia trip. At the same time as the Bolivia trip though, was an expedition to Peak Lenin in Kyrgyzstan. Peak Lenin is a bit of a beast (alright it is a monster, at 7,134m (23,405 feet) but that didn’t stop me wanting to try it! A week or so later, and after some ‘sensible’ conversations with Adele Pennington (thanks Adele :)), who has guided the Bolivian climber trip multiple times before, I was recalibrated – Bolivia it was! Straddling the Andes, Bolivia is an unspoilt and little visited country. Having landed on the Altiplano at 4,200 metres, you descend almost 1,000 metres from the airport to La Paz, where you relax for two nights. You then go back to the Altiplano to explore the highest navigable lake in the world, Lake Titicaca, spending a few days visiting sites of the Tiahuanaco, pre-Inca, civilisation. Then, ready to face the mountains, you enter a beautiful high mountain cirque at Condoriri. From here, you climb Pico Austria (5,100m) and Pequeño Alpamayo (5,337m), and do some glacier practice. Pequeño Alpamayo is a stunning climb along a well-defined ridge (50° in parts). 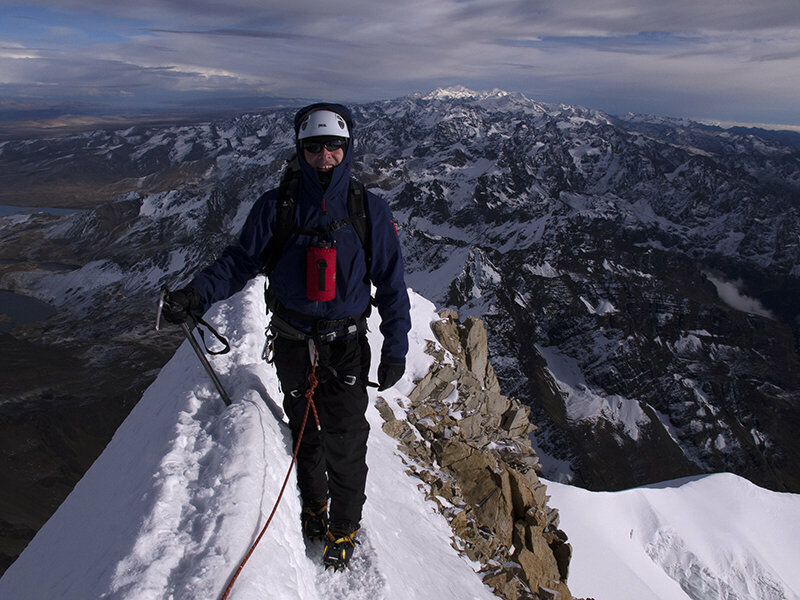 Next you head for the bigger objectives of Huayna Potosi (6,094m) and Illimani (6,462m). Both mountains provide excellent glacier and snow climbs, with some easy ridge scrambling to get to the high camp on Illimani. 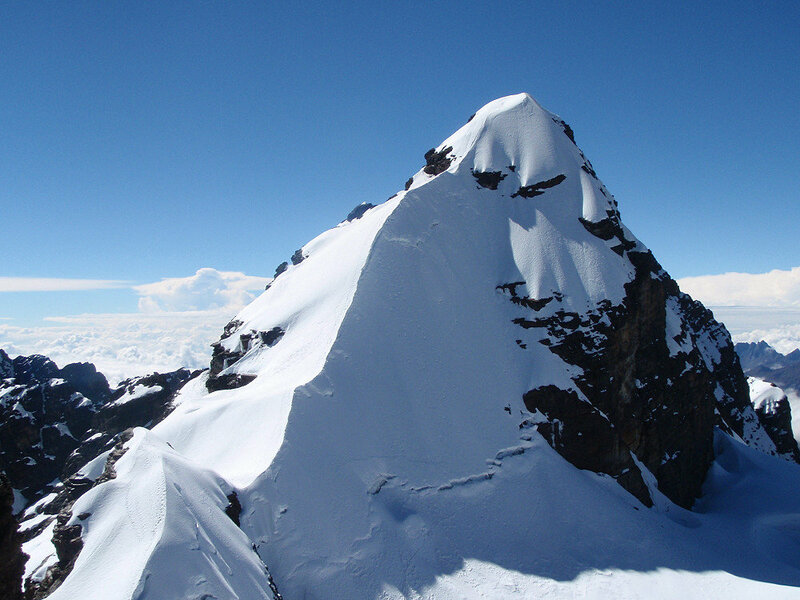 The summit ridge on Huayna Potosi is not steep but it is exposed, whilst Illimani provides a very big summit day with a difficult section, which can involve 55° ice climbing at an altitude of nearly 6,000m. Alpameyo has a pretty steep summit ridge…. I’ll post more in due course of what I face this summer (August), but I am learning that it will be a pretty technical climb in places, with some ice climbing and fairly technical rock and ice thrown in in places. Meantime I have a few more low lying activities set up to get me in the best shape I can be. Tough Mudder, lots of running, cycling, and two goes at the Fan Dance for starters. More on those very soon! !